A few years ago we took a weekend getaway to Portland. I worked at a place with so many foodie coworkers it was kind of amazing! When one who had lived in Portland for years heard I was heading there he wrote me the best list of places to visit. He told me if I’m even mildly into ice cream, I need to make sure Salt & Straw (Salt and Straw) happened! I’m a HUGE fan of quality, homemade ice cream. So naturally, we went. Now Phoenix has some pretty amazing ice cream. But the first taste of Salt and Straw had me pretty convinced this may be the best of the best. A few months ago we headed to San Diego for a weekend. I had a friend inform me we MUST try Salt and Straw San Diego. 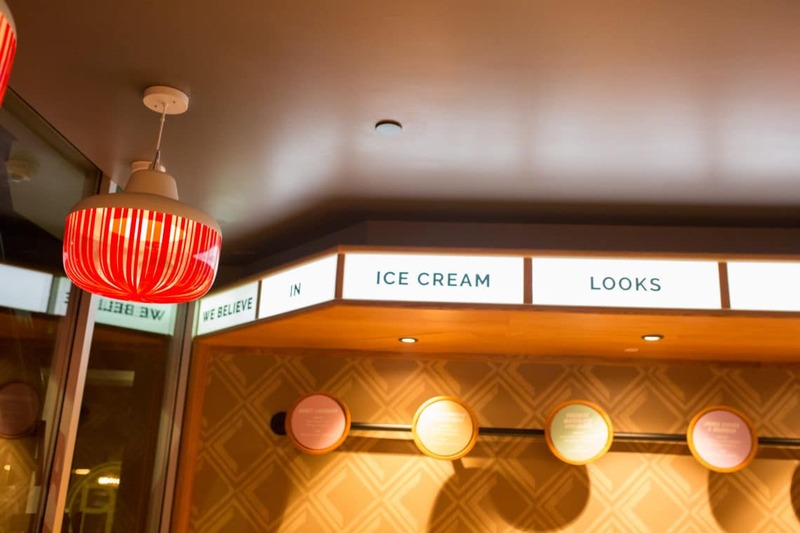 Let me tell you my jaw just dropped when I realized there is a Salt & Straw San Diego! There are only a handful of locations in the U.S. When you are within a 20-mile radius, it’s the time to go! This time, we got to bring an ice-cream loving toddler with us. I knew he’d actually appreciate the quality and unique flavors. We’re doing our best to raise a tiny foodie who can pick out quality. The Salted Caramel is the best I’ve ever had! I really don’t think you can go wrong with any flavor. I mean even the lavender has my heart. But there’s something magical in that ice cream and I’m salivating just thinking of the amazing flavor achieved in salted caramel. We waited in line for a while after looking up and down for a parking spot in busy downtown San Diego. And I’d do it all over again for one scoop! Mission accomplished. We were all the happiest people in the most crowded ice cream shop there ever was. But when a Salt & Straw is available in an area you didn’t realize (like the Salt & Straw San Diego) it’s pretty imperative you add that to your trip! Sweet Republic Ice Cream: The Best Thing I Ever Ate!